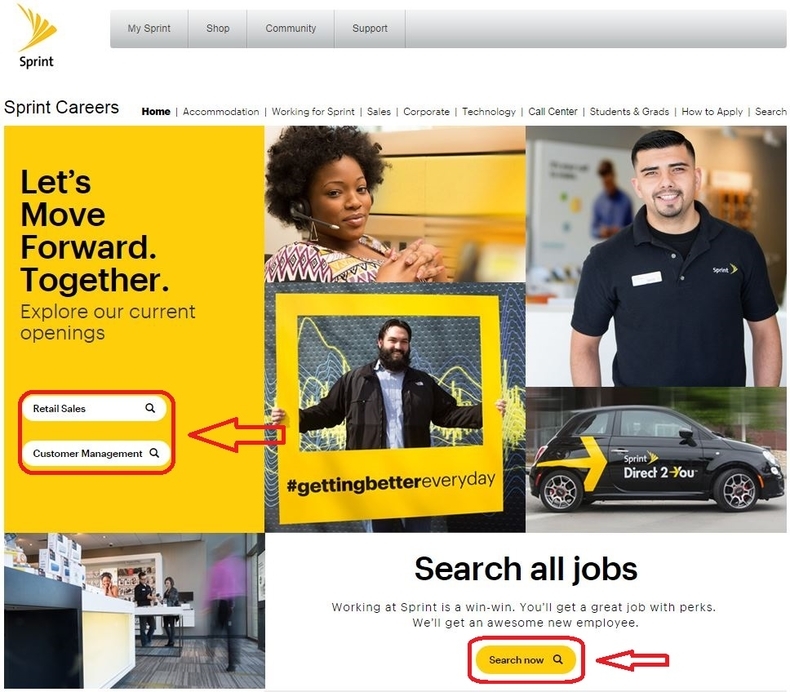 Visit Sprint career site at careers.sprint.com or sprint.com/careers to start your job application. Choose an area to explore the current openings. Or you can click the button "Search now" to search jobs by keywords. 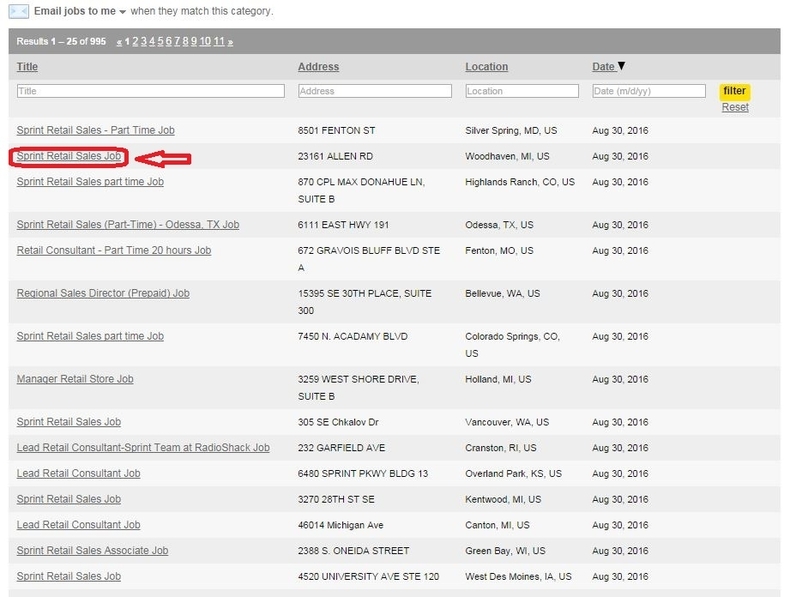 Browse the job openings list or filter it by title, address, location or date for the position you are interested in. 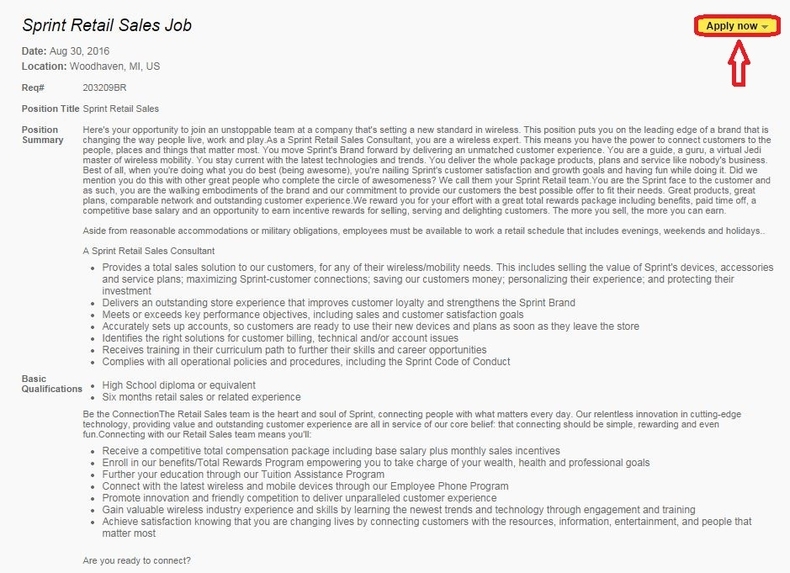 You can click the job title to view more about the position. 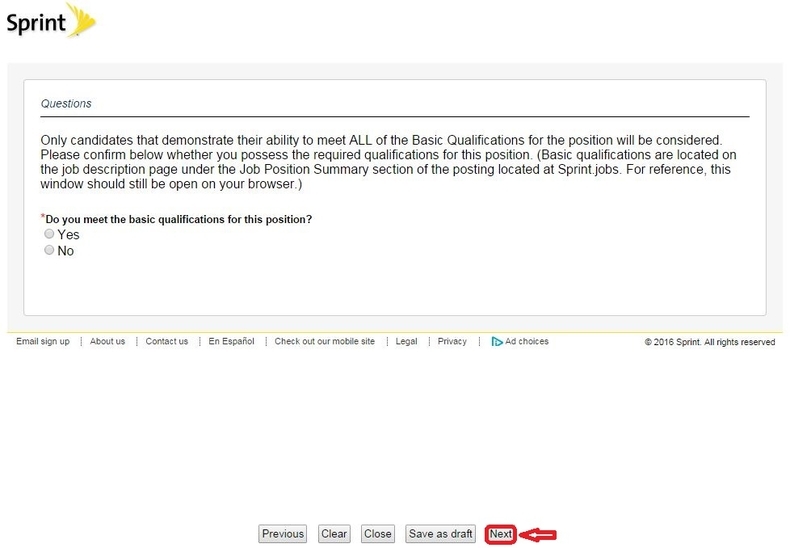 View the details of the position you selected like job summary, basic qualifications, etc. and decide whether you are going to apply for the position. If you are sure to apply for it, you can click the button "Apply now" to start your application. Enter your info to join in the candidate community and click "Next" to apply for the selected job. Enter your user name and password to login. If you are a new user, you can select to create a login. Provide some basic information of you and your background to help the recruiting team determine if you can meet the basic qualifications and required experience for the position. The fields marked with an asterisk are required to finish. 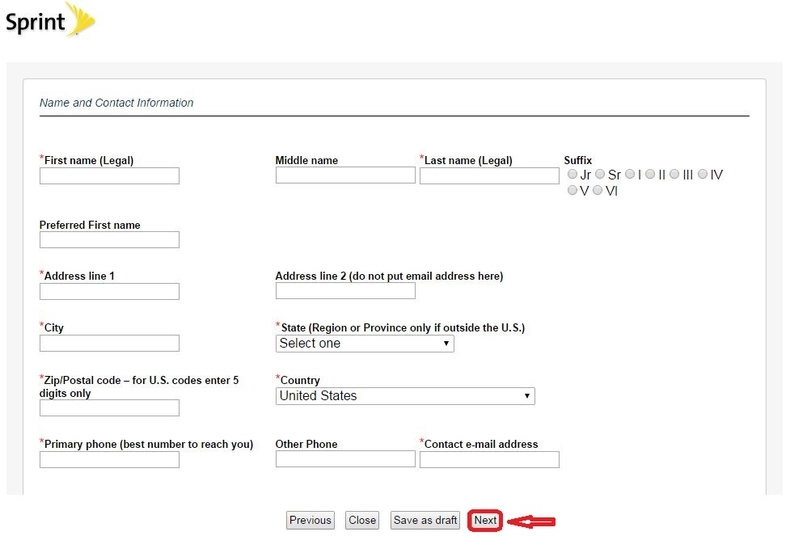 Once you finish the required fields in one page, just click "Next" to move on to the next page. Choose a method to submit your resume. 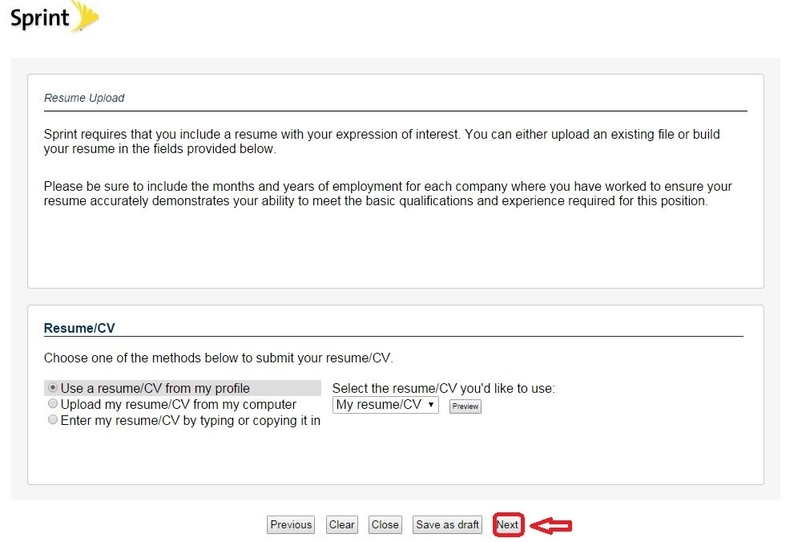 You can upload your resume from your computer or enter the text of your resume in the text box. Follow instructions to finish the rest steps one by one. You need to finish all the required fields in each step and then click the Next button to continue. Click the button at the bottom of the page to submit your application. 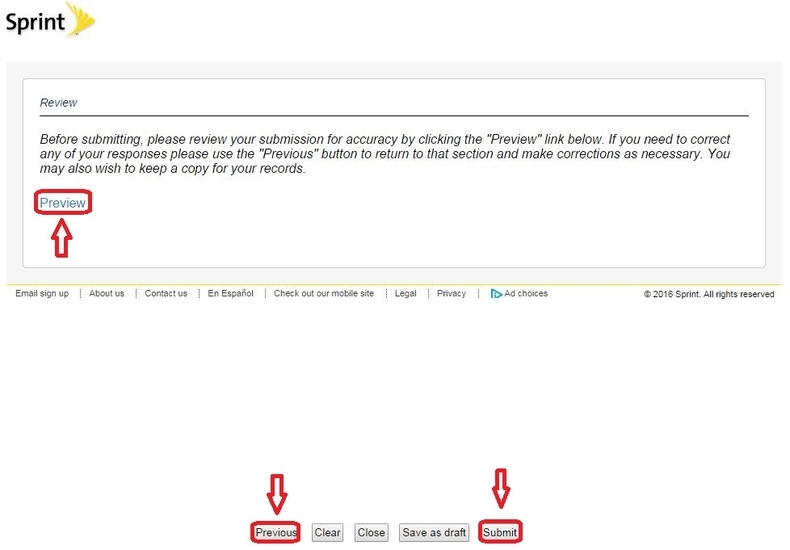 Before submitting, you'd better review your submission by clicking the "Preview" button. You can click the button "Previews" to return to modify the information you provided in any step. 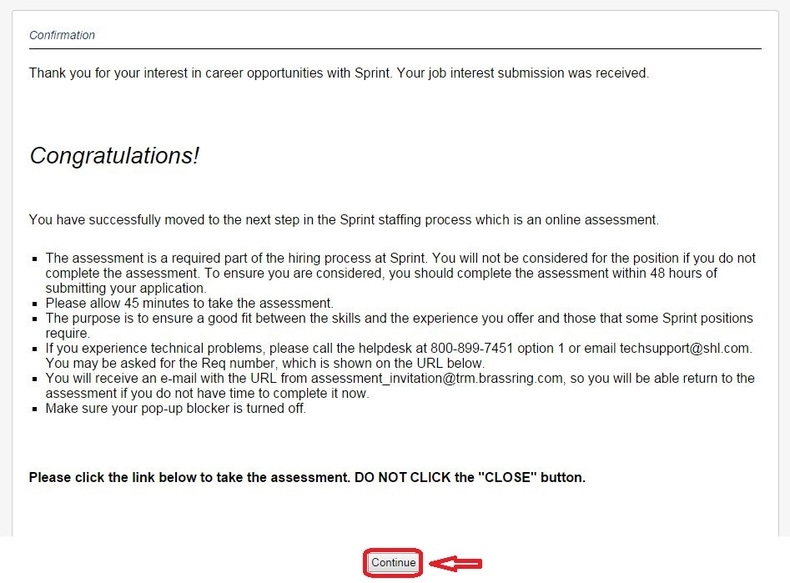 After submitting your application, you need to take about 45 minutes to finish an assessment by clicking the "Continue" button. You'd better take the assessment within 48 hours of submitting your application or you will not be considered for the position if you do not complete the assessment. 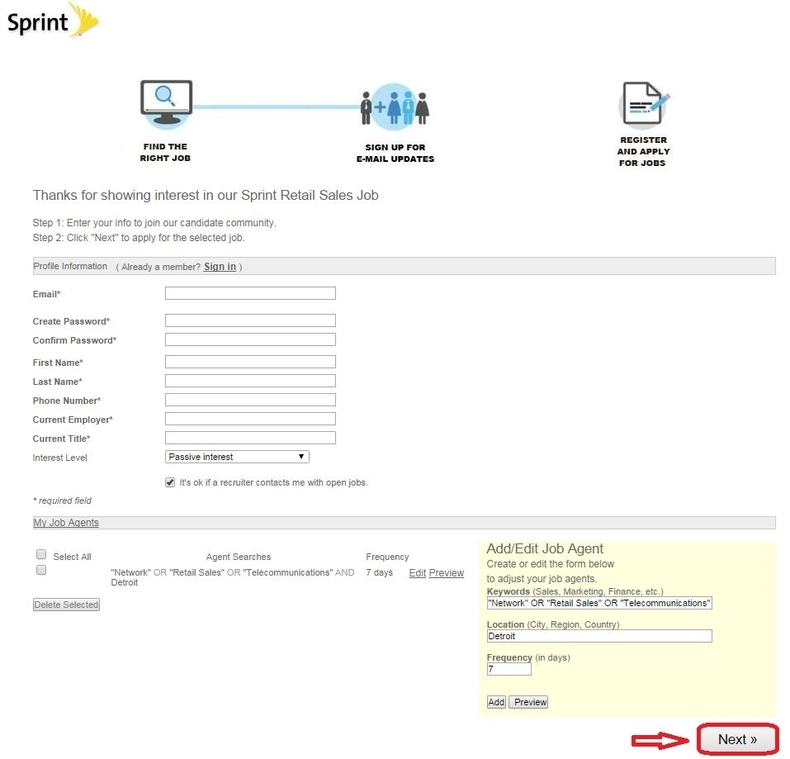 Click sprint.com/careers to apply for Sprint jobs online.